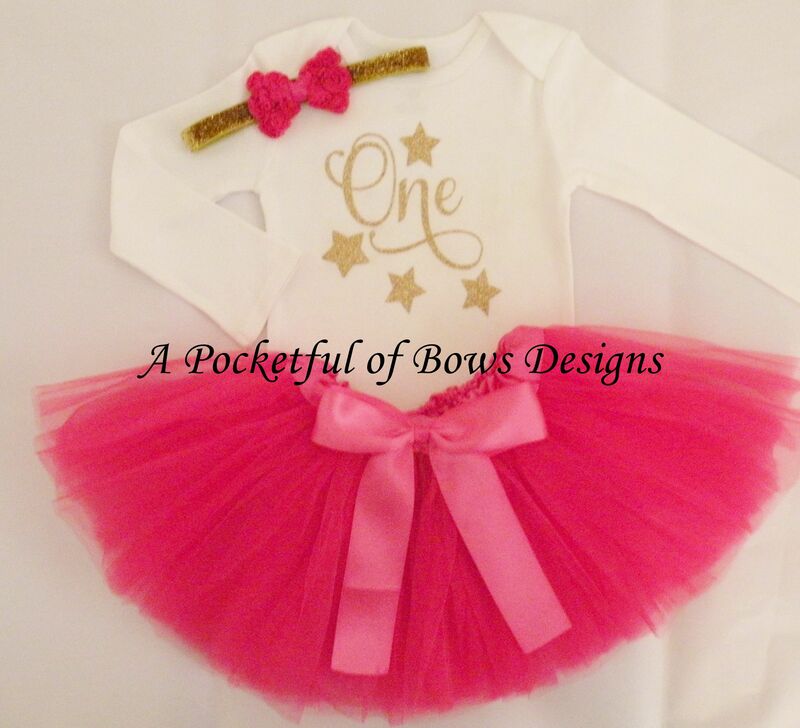 Twinkle Twinkle Girls birthday tutu outfit in hot pink and gold. The top is available as a baby body suit or toddler tee shirt. Long or short sleeves. Glitter gold birthday age and stars. The headband is glitter gold with a hot pink bow. The tutu skirt is hot pink with a hot pink bow attached.